Those are the questions I got every time I told someone where I was going for winter break. An overlooked travel destination, Oman is undoubtedly one of the Middle East’s best kept secrets. It was featured on the New York Times’ 52 Places to Visit in 2015, though it was still amazing in January 2016. Oman is an extraordinary travel destination because of the outstanding variety it provides to tourists, from the second biggest mosque in the world to a secluded wadi (valley) cave for swimming to a 400 year old fort. Here’s what I did while I was in Oman. 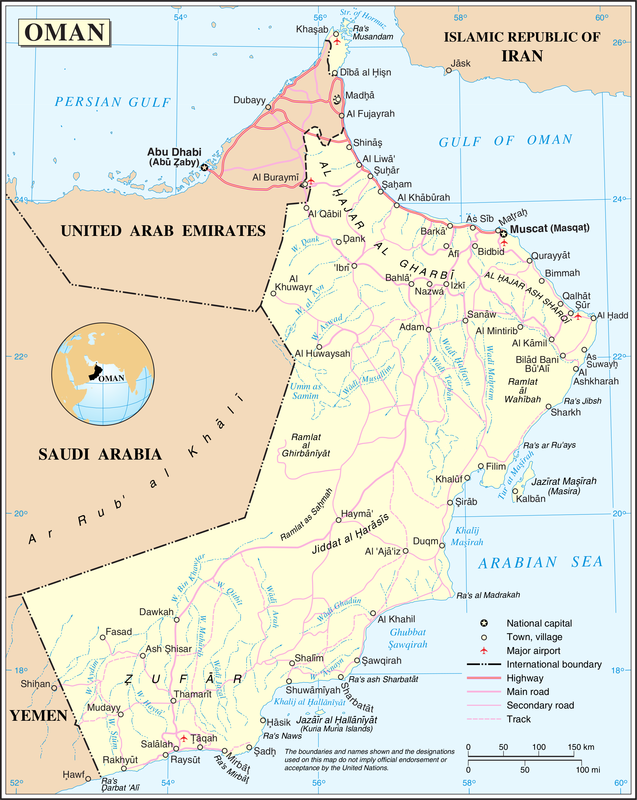 Map of Oman. Creative Commons License. 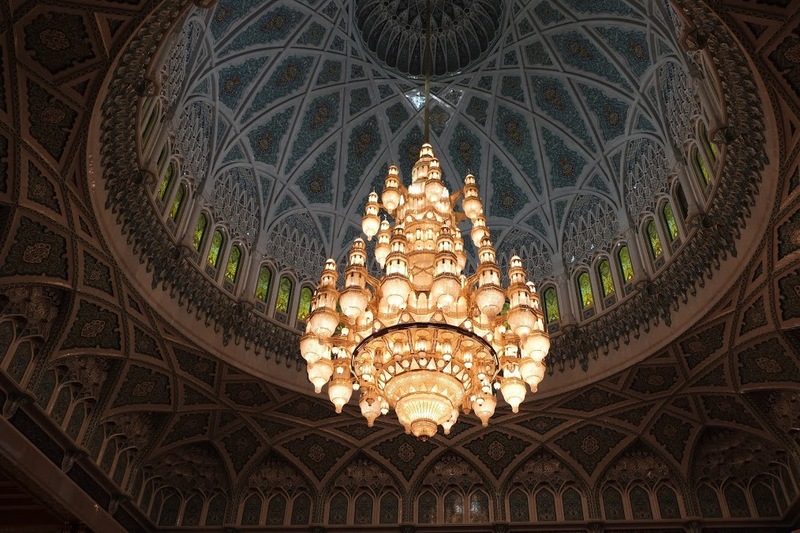 Surely, the most impressive piece of architecture in Oman is the Sultan Qaboos Grand Mosque. 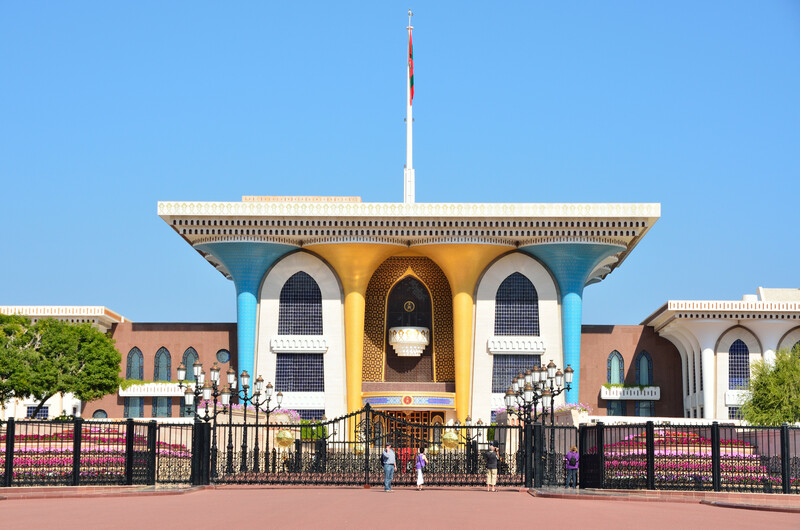 Named after the current Sultan of Oman, the mosque took just over six years to build. The mosque features a main minaret, which towers over all of Muscat, a 70 by 60 meter carpet that was sewn on site and a massive 14 meter tall chandelier. 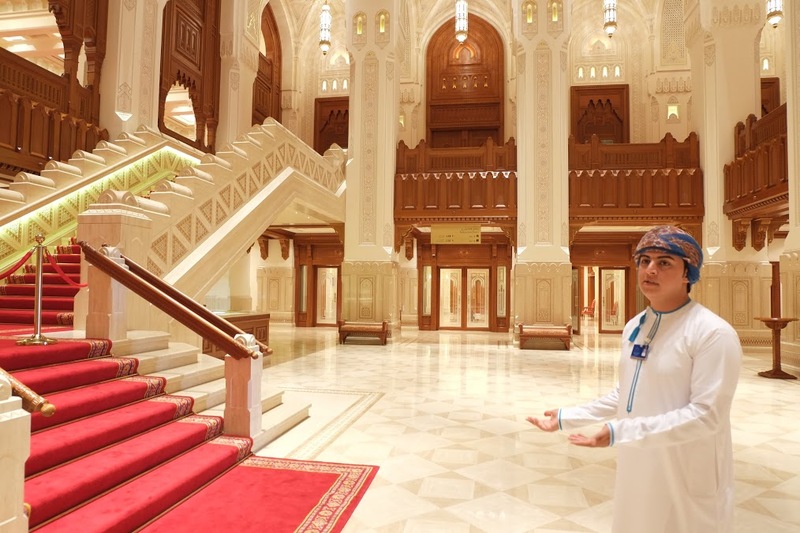 The main hall of the Sultan Qaboos Grand Mosque. Photo by Linton Atlas. The center of the Muttrah Souq. Creative Commons License. This is the Sultan’s palace and official residence, but he usually isn’t home. Visitors must enjoy the view from outside the gate. On a nice day, the palace is a great place to walk around and take photos. Street view from the front of the Sultan’s palace. Creative Commons License. Another beautiful piece of architecture, the Royal Opera House was built at the Sultan’s request. With a capacity of 1,100 people, the Opera House is open to the public. The main entrance hall of the Royal Opera House. Photo by Linton Atlas. First stop on day 2 was the Bimmah Sinkhole. Positioned uniquely between the mountains and the ocean, the sinkhole mixes salt and fresh water to create a spectacular brackish, swimmable turquoise pool. After a 45 minute hike up to the wadi, or ravine, you’re rewarded with a great little swimming area and lots of places to jump off into the water. But there’s more to this wadi than meets the eye. At the top, there’s a well hidden cave, waterfall and pool you can swim in. 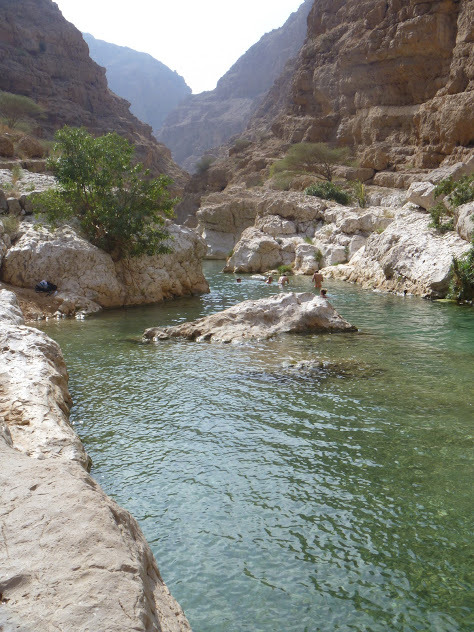 The area you hike to at Wadi Shab. Creative Commons License. A bit of a drive from Wadi Shab, the Ras Al Jinz Turtle Reserve is a great spot to go turtle watching. After dinner, people venture out to nearby beaches to witness turtles laying their eggs. If you’re lucky, like we were, you might even get to see a baby turtle. Remember, when you’re out looking at the turtles, absolutely no lights or flash photography (unless you’re a guide). Much like the first wadi, this one has a nice swimming area and more places to jump in (it’s also a bit more “touristy”). But Wadi Bani Khalid does have two special features: one, fish that eat the dead skin off your feet, and two, a cave you can hike up to and explore. The lower pools of Wadi Bani Khalid. Creative Commons License. After a drive into the desert, you can spend the afternoon and evening drinking coffee with bedouins, watching the sunset, dune bashing, dune sledding and plenty more. On a side note, I’m pretty sure this was the first place I’ve ever seen camels with one hump. Awesome. There are numerous hikes through the mountainside, each one taking you in and among local villages. A clear day reveals amazing views of the valleys below. After a day of hiking, take your pick of the hotels in the area for a great place to stay overlooking the mountains, valleys and terraces below. This souq only happens once a week, on Fridays, and is a MUST-see. The highlight is the animal market, in which men parade their goats, cows and sheep around, yell at each other, and try their best to sell. It’s quite a spectacle. Stay out of the way, though – sometimes the animals can run amok. When I was there, two cows got into a head butting match. 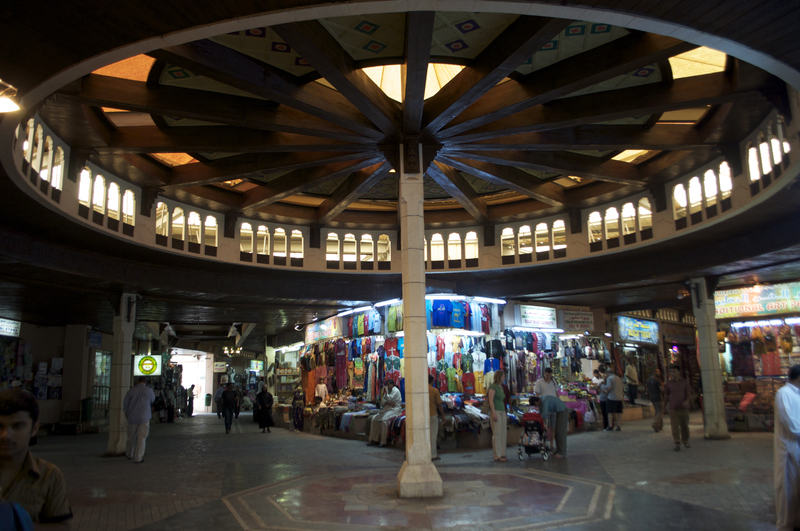 The souq also features a variety of birds, a vegetable market, guns and plenty more. After checking out the market, you can take a short walk over to the Nizwa fort. Have a look at the various defense methods (such as hot date syrup pouring), history of the fort and the views from the top of the main barrel. View from the top of the Nizwa Fort. Photo by Linton Atlas. After a long but worthwhile trip through the various landscapes of Oman, it’s time to relax for a day. 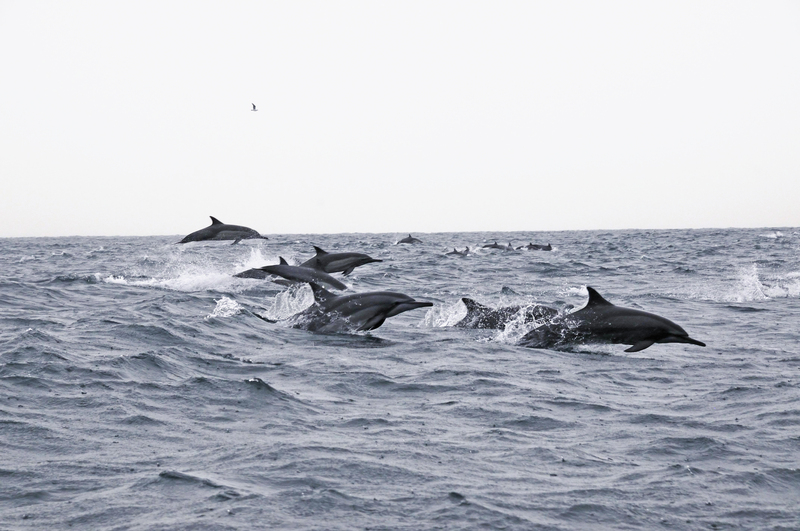 Hop on a dolphin-watching boat and go snorkeling or diving along the way. A school of dolphins jumps out of the water. Creative Commons License. Oman’s natural beauty and diverse landscapes make it a great place to visit. If you don’t mind driving and having an adventure, this little country in the Arab Gulf should be high on your list of places to go in 2016.